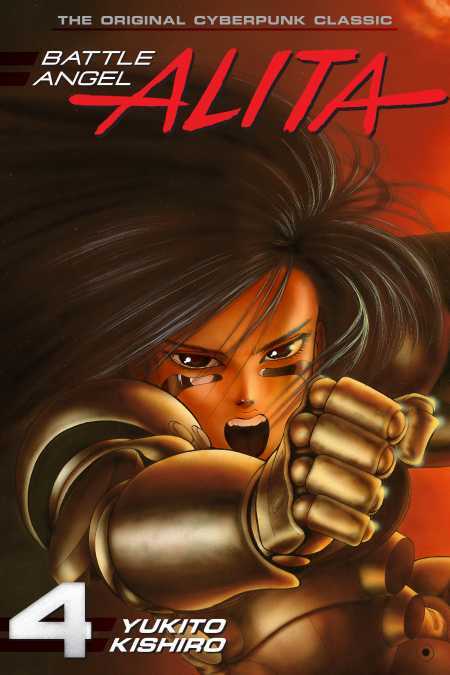 Alita must construct a team of elite players in order to challenge Emperor Jasugun, champion of motorball: Caligula Armbrust, Aydakatti the Destroyer, Zafal Takie the Crimson Wind, and the ultimate black sheep, Tiegel … While she prepares for her greatest challenge yet, Jasugun is trapped in his own battle against fate. It all comes down to Alita’s Panzer Kunst vs. Jasugun’s Maschine Kratz. And in the midst of battle at the extreme limit of possibility, Alita catches a glimpse of her long-lost past … The “Motorball” arc reaches its incredible conclusion! !